Country music star Blake Bradley was born for the stage. His band, the Sinsationals, is selling out arenas across the USA. But a toxic cocktail of success, substance abuse, and personal conflicts threaten to tear the band apart. Secretly, Blake longs for the band’s early days. Back when things were simpler. He had Cal, his best friend and guitarist, in his corner. Things were good. Things were easy. But when they dared to test the boundaries of their relationship, exploring something deeper, Cal quit the band and left Blake hanging. Coming home to Denver stirs up more pain than nostalgia. Bar owner Cal Lindsay is married to his job. He works hard and takes care of his staff, trying not to think about what could have been. But when his best friend drags him to a Sinsationals concert, he’s face to face with the past he walked away from. When Blake shows up at his bar the next night, Cal isn’t sure if he’s there to make amends or flaunt his newfound wealth and success. All Cal knows is the aching truth: he never stopped wanting Blake. But it’s far too late to fix things, isn’t it? After a tentative reconciliation in the bar, Blake invites Cal to travel with the band. If everything implodes at the end of the tour anyhow, what’s the harm? Touring across the Western US, the two men explore one another with the tentative caution of strangers. As they struggle to rebuild their relationship, they discover that second chances are earned, not given. 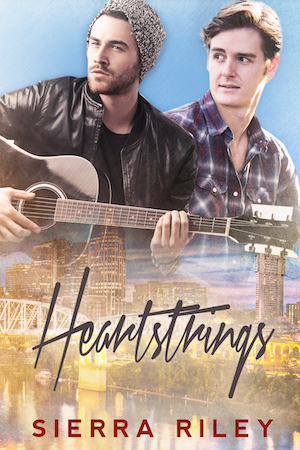 Can Blake and Cal let go of past hurts and learn to forgive? Or will the band’s infighting drive an impossible rift between them?